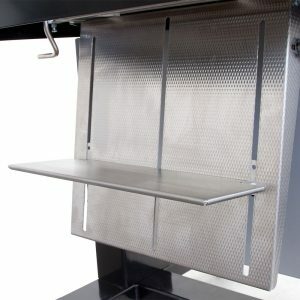 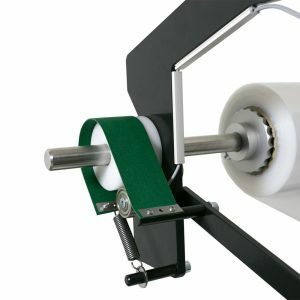 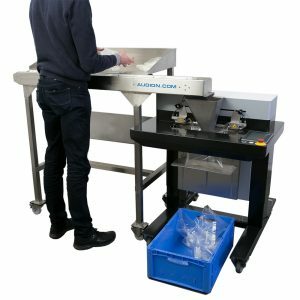 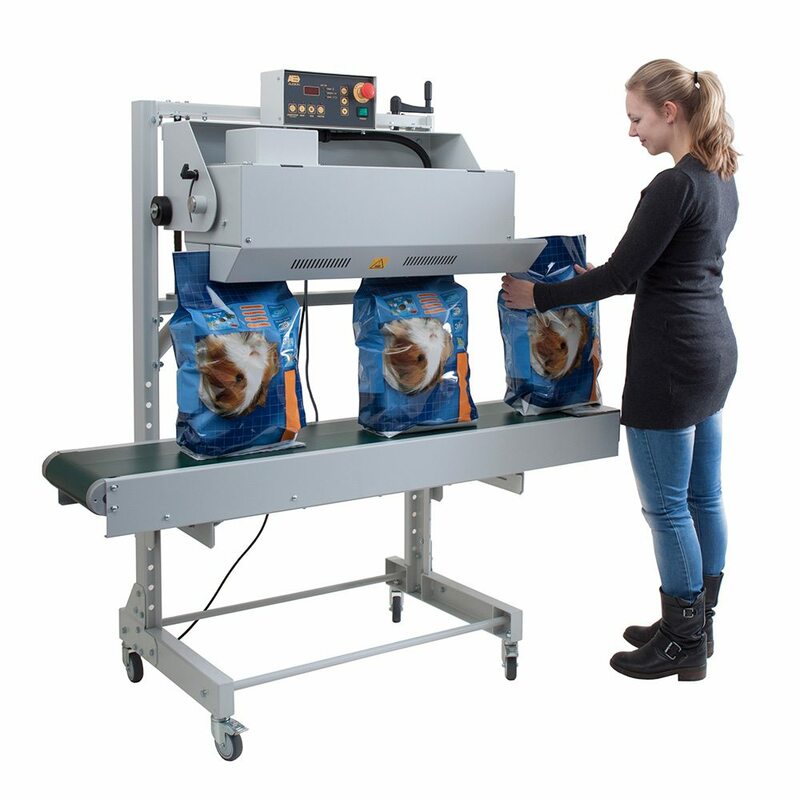 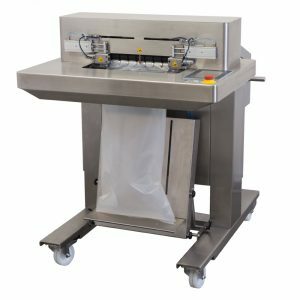 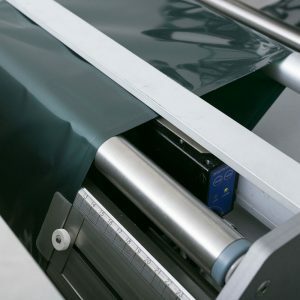 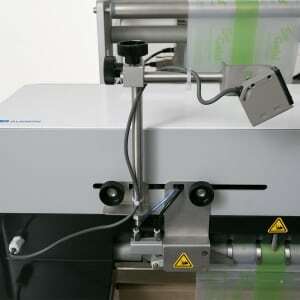 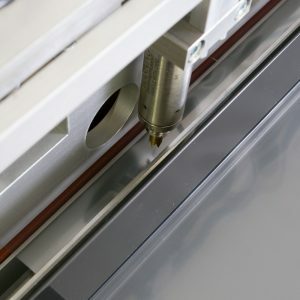 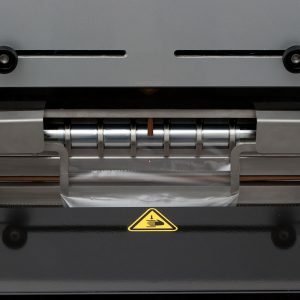 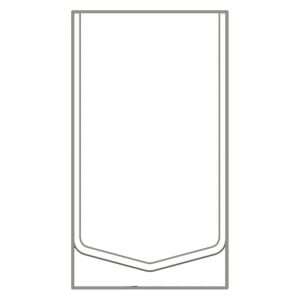 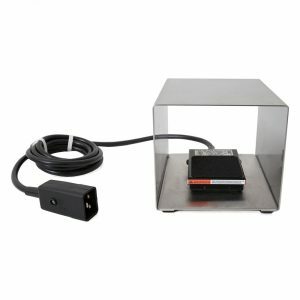 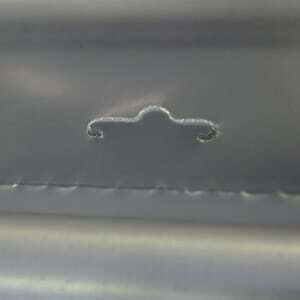 D 552 AVT is a vertical band sealer, designed for large pre-made bags that are sealed standing up. 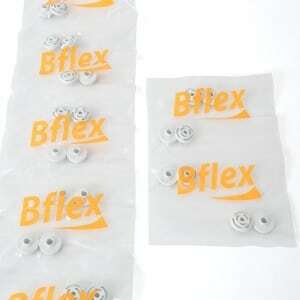 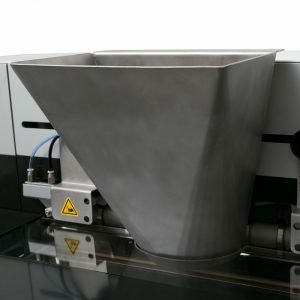 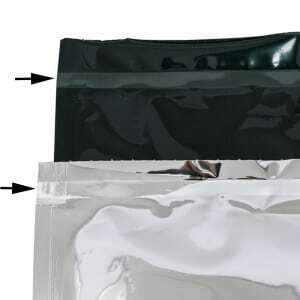 It is ideal for powder, liquid, or solid products that would spill if sealed lying flat. 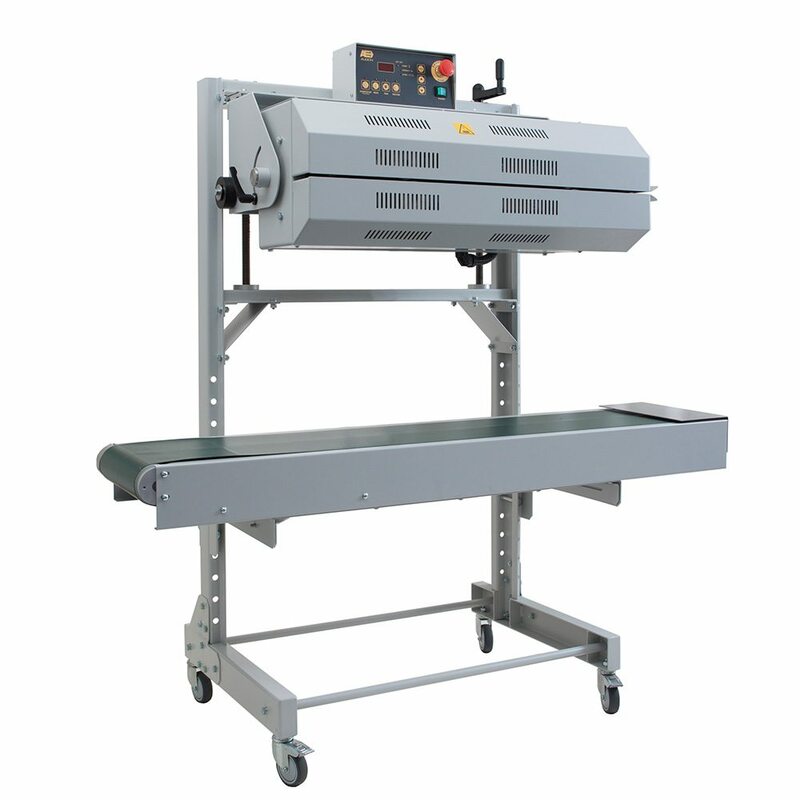 The sealing head on the D 552 AVT can be rotated 90°C, from vertical to horizontal, and is also adjustable in height. 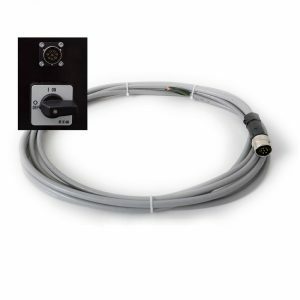 The D 552 AVT has the same easy-to-operate digital control panel and PTFE seal belts as the D 552 AH. The D 552 AVT is equipped with a height-adjustable integrated conveyor belt. 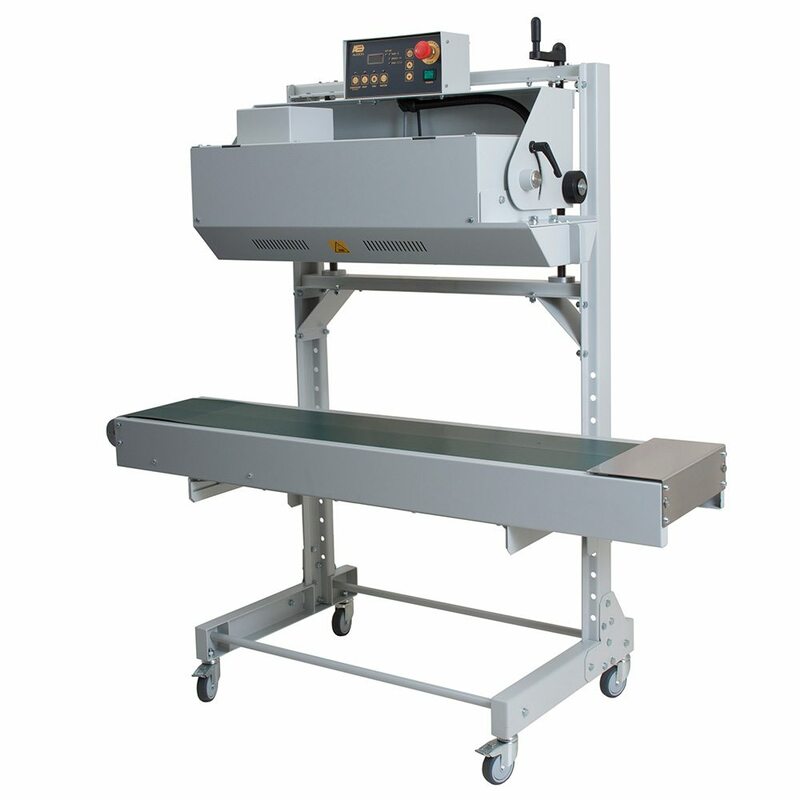 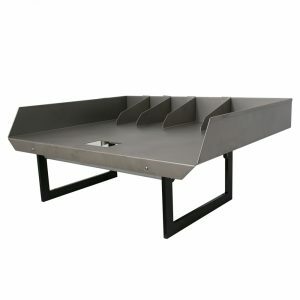 The speed of this conveyor can be synchronized to the sealing unit from the control panel.